The small one. Perfectly square. Fits anywhere - even in the smallest shelf system. 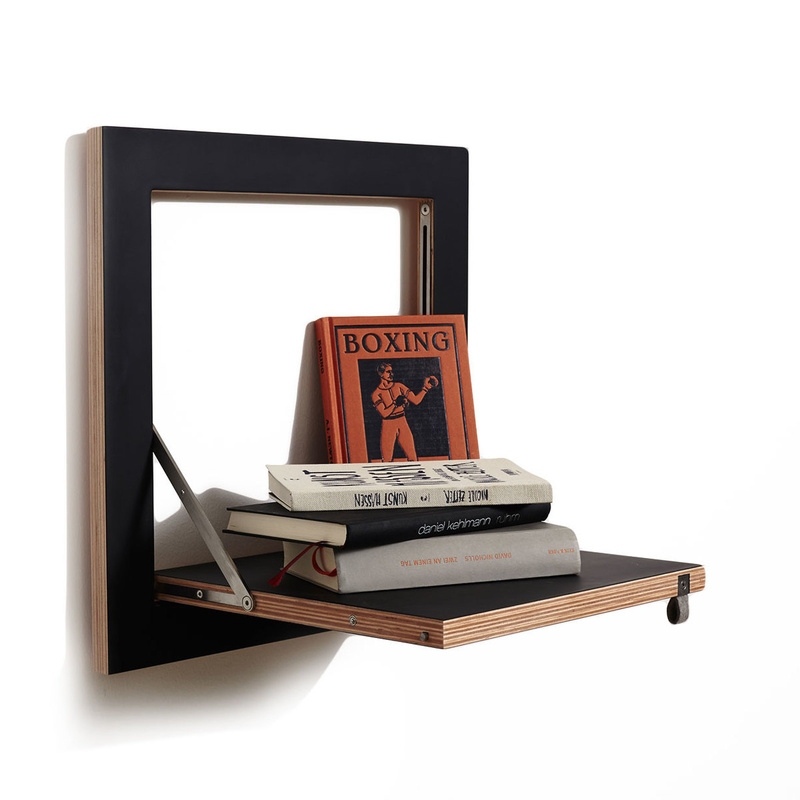 This is the perfect hallway shelf, night table, vase holder or cookbook shelf. There when you need it – beautiful when you don't. Wall - shelf - folded - gone! "Freedom to be Ambivalent": A modular shelving system without rules. A beautiful combination of width, height and shelves. 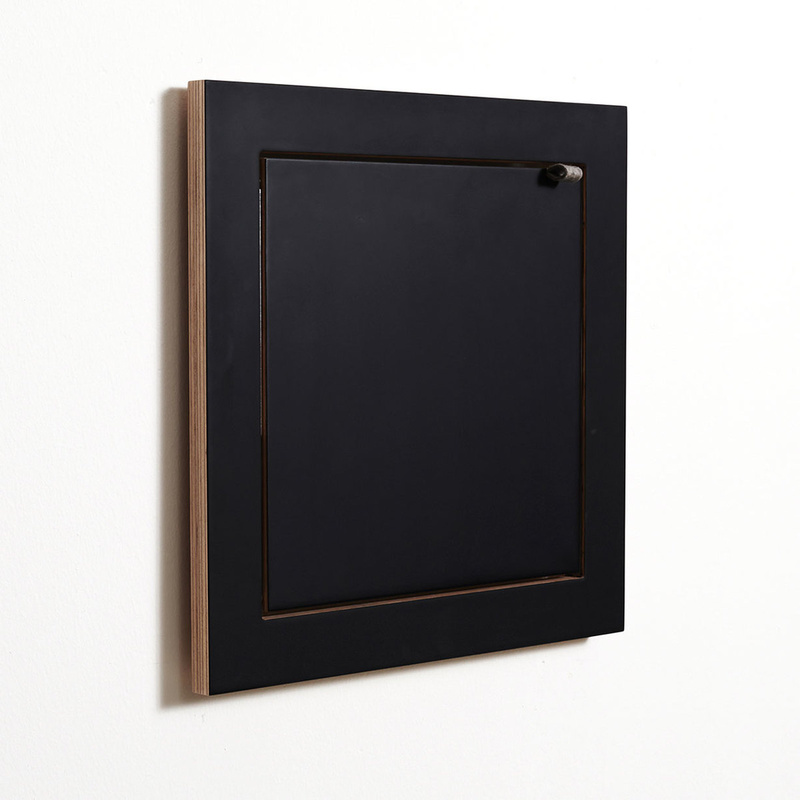 Invisible, Wall Art shelving storage – Fläpps can be a combination of all three. You decide. 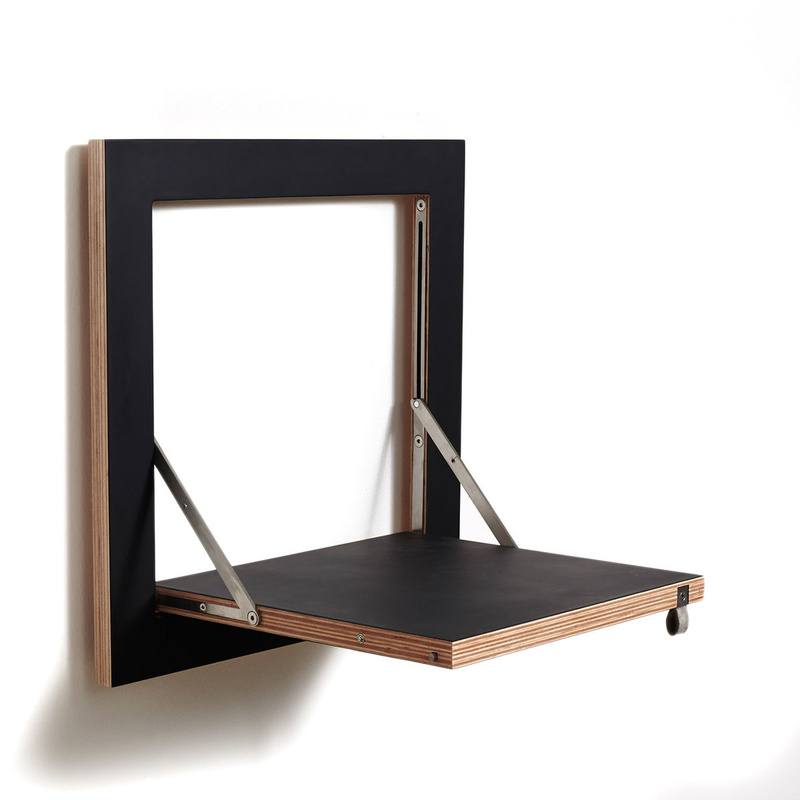 Each module is a stand-alone shelf that can be combined with other Fläpps modules to become a wall shelving system. 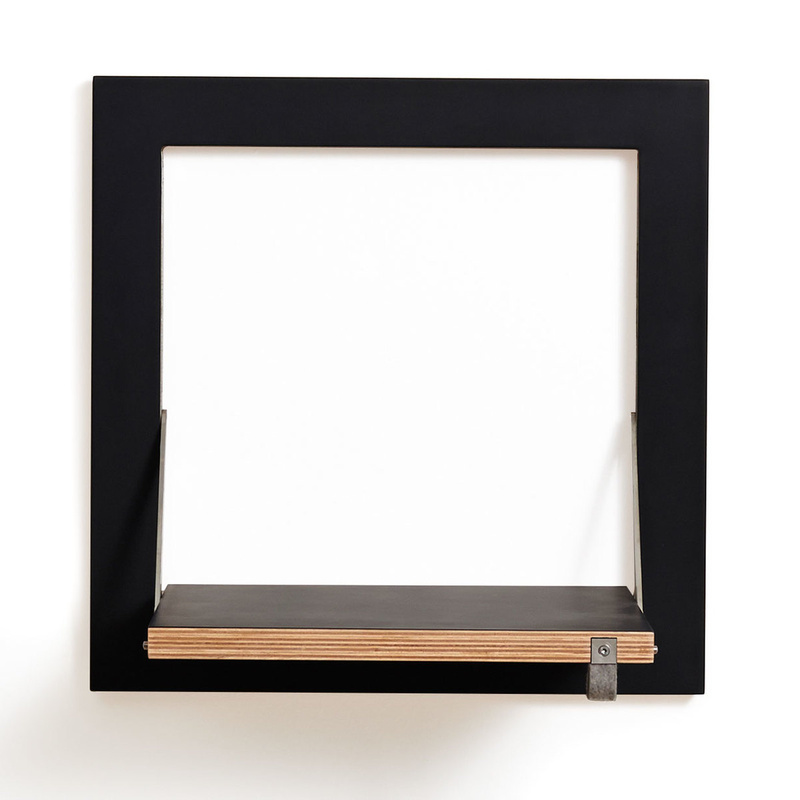 A unique wall mounting mechanism effortlessly permits up to 5 shelves to be stacked vertically. Unfolded the Fläpps shelving system offers endless applications in the office, living room, kitchen, dressing room or entrance hall. Arguably the most beautiful folding shelving system in the world, Fläpps communicates perfectly with all other products in the range as they share the same mounting mechanism. Take the Fläpps wall desk. Closed, it blends into the wall, leaving no room for unfinished work. However, combined with other Fläpps shelves it is transformed into the ideal home office. Similarly, the Fläpps Hängrail is the perfect combination of clothes rail and shelf. Each of these shelves has a maximum load of 25kg.